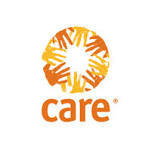 CARE is a leading humanitarian organization fighting global poverty. We place special focus on working alongside poor women because, equipped with the proper resources, women have the power to help whole families and entire communities escape poverty. Women are at the heart of CARE's community-based efforts to improve basic education, prevent the spread of disease, and increase access to clean water and sanitation, expand economic opportunity and protect natural resources. CARE also delivers emergency aid to survivors of war and natural disasters, and helps people rebuild their lives. In Tanzania, CARE aims to reach women in rural, food insecure households whose livelihoods depend on agriculture and natural resources. It envisages vibrant, equitable and resilient rurall communities where women are empowered to realise their social, political and economic rights and natural resources are sustainably managed in the context of climate change. CARE Tanzania promotes innovative approaches, research and evidence based advocacy, and capacity building of local civil society in the fight for poverty reduction. CARE Tanzania is launching 'a transformative Kukua ni Kujifunza (Growing is Learning Programme in Iringa Rural District, with the objective of increasing food and nutrition security, income and climate change resilience, among vulnerable and rural small-scale women farmers. This will be achieved through gender transformative programming over a four-year period, targeting 3,945 direct beneficiaries, with"a focus on the soya value chain, Funded by the Government of Australia through CARE Australia, the project builds on the experience that CARE Tanzania has generated over a couple of years on gender and agriculture value chains through WERISE and Pathways Projects in Southern Tanzania, the CARE-WWF Alliance project B in Nachingwea and currently through the Sunflower Value Chain Development Project -ALUTA based in Iringa. All these pr6jects have been developed with strong focus on gender equitable value chain development and governance, in the midst of changing climate. Likewise, Kukua ni Kujifunza (KNK).is not exceptional. There are three end of project outcomes: under KNK: 1) Increased productivity and adaptive capacity among target small-scale women farmers, results in increased food and nutrition security, and resilience; 2) Increased household level income for small-scale women farmers; 3) Regional Authorities and Private Sector Partners within SAGCOT are responding to the needs and demands of small-scale farmers creating more sustainable, inclusive and accountable value chains. KNK has been designed with Soya beans as the main value chain crop. However, CARE would like to diversify its interventions to include maize and poultry keeping as complementary crops to impact onboth food and nutrition security ends. . The Partnership Development Managers (PDMs) for KNK will be at the cutting edge of CARE programming on agriculture value chain and it is essential that s/he has the necessary basic management skills to deliver effectively in this initiative. The PDM will be responsible for successfully planning and executing program initiatives under the umbrella of sustainable Agriculture and Land Management Unit (SALAMA) of CARE in Tanzania and in close partnership with private sector and local government authorities. This project will be implemented in close collaboration with ALUTA under the Coordination of the Program Coordinator. This central coordination is critical for enhancing synergies, resource leverage learning and advocacy, and most important is maximizing positive impact to small holder farmers. KNK will also be implemented through meaningful engagement of disabled person so to extend project benefits and impacts on their lives. All this will happen in the midst many challenges-including working in remote and/or insecure environments, doing more with less;' juggling numerous requests from different stakeholders. Yet, there is one more challenge of transforming partnerships with private sector around agriculture value chains to become more equitable and sustainable. • At least 4 years' experience in related development field, out of which at least one year of supervisory responsibility. • Demonstrated strategic planning skills, organizational and management skills. • Strong team-building and team-work qualities. • Firm belief in teamwork, gender equality, sensitivity to HIV/AIDS and participatory approach and sustainable development. Planning and Organizing; Initiating Action; Excellence; Integrity; Transformation; Equity; Diversity; Communicating with Impact; Strengthening Partnership; Stress Management; Adaptability; Contribute to Team Success; Managing Performance; Facilitating Change; Coaching; Building Commitment; Developing Teams; Operational Decision Making: Negotiation; Management Excellence; Adaptability and Stress Tolerance. NOTE: All applications should indicate Subject Application code of the particular position in the subject line. Copies may be posted to CARE International in Tanzania, Box 10242, Dar es Salaam.